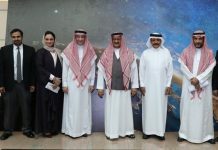 The College of Engineering hosted a seminar on the Boeing Solar Car which is a multidisciplinary student design project funded by a grant from Boeing. 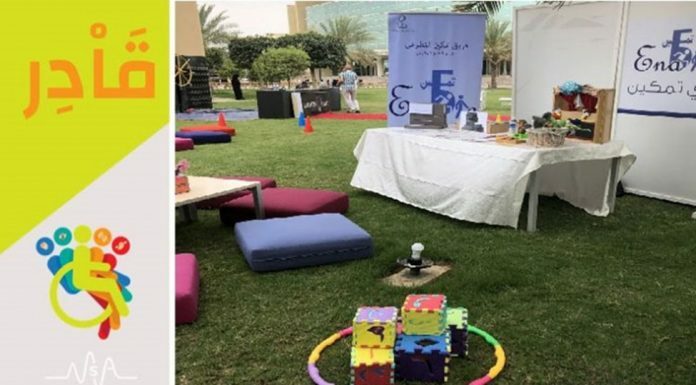 The project follows on one of the major themes at the College of Engineering that focuses on Renewable Energy applications with the supervision of Dr. Ahmed Oteafy and Dr. Hassan Zohair from the EE and ME departments, respectively. 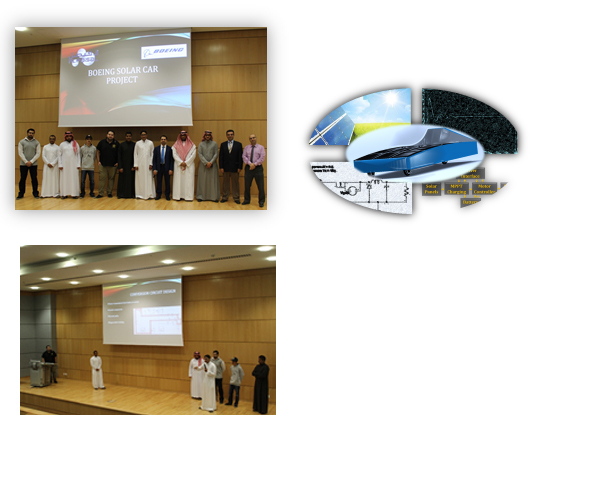 Electrical engineering senior students, AbdulAziz Alyemni, Fahad Albeshr, Mohamed Alghanim, AbdulAziz Alnukta, and Khaled Alsaleh are divided into two groups designing and implementing the motor control and the maximum photovoltaic (PV) power supply for the solar car. Mechanical engineering senior students Khalid Sulaiman and Syed Adnan are designing and implementing the mechanical modules of the car, including, the body, chassis, suspensions, brakes, seating and hatch, etc. 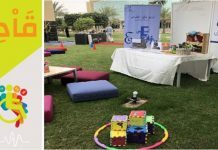 Other opportunities remain for Alfaisal students to become affiliate members with tasks including devising the communication system of the car, improving the aesthetics, and enhancing the ergonomics of the driver interface. 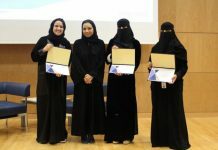 The seminar took place on Thursday February 18th, 2016 in the female theater, and was attended by more than forty students and faculty members, including Dean Nidal Nasser, and distinguished guests from Boeing Eng. Majed Alharbi and Eng. Anees Abdullah. For further information on the project contact Dr. Ahmed Oteafy at aoteafy@aflaisal.edu .